Seven declared overall winner of 2013 ratings war. I’m sure there will be a few executives over at the Seven Network today wearing party hats as the network looks to have won the 2013 calendar year according to the official full-year television ratings released by OzTAM. In figures for the full year, Seven had a consolidated five-city metro share of 30.6% in 6pm-midnight, ahead of the Nine Network’s 28.3%, ABC’s 18.1% and the Ten Network’s 17.3% with SBS holding a 5.6% network share. Seven was also the leading channel with a 22.9% share ahead of Nine’s 20.7%. ABC1 managed to topple the troubled Ten Network with a13.4% ahead of Ten’s meagre 11.8% share. The highest-rating programs in the metro cities were the announcement of winners for Seven’s My Kitchen Rules (3.27 million viewers) and Nine’s The Block Sky High (3.16 million), with the AFL Grand Final on Seven averaging 2.718 million viewers. Over in mag-land and Bauer Media is set to launch a new fortnightly magazine next month aimed at ‘stylish 50 to 65-year-olds’. There is still no word on what the new publication will be names but it will have a cover price of $3.95 and will target sales of between 80,000 and 100,000 an issue according the The Australian. Woman’s Day executive editor Lisa Sinclair will edit the magazine under editor-in-chief Fiona Connolly. This will the second big launch for the publishing house after a dramatic 12 months with the launch of Elle Australia and the very public axing of several it’s titles and merging staff from popular women’s lifestyle titles Dolly and Cleo. And finally, creator, director, executive producer and star of the hit HBO American comedy/ drama Girls, Lena Dunham will appear on the cover of Vogue. Rumours are also swirling that the February issue (which Dunham will feature) will actually be dedicated to the television series. ‘Why are you writing about some American TV star being featured on the cover of a fashion magazine?’ I hear you grunt at your computer screen. 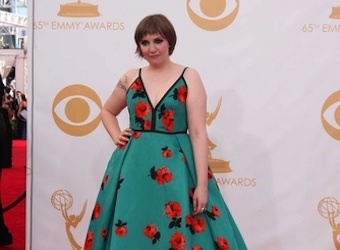 Well, dear reader, because Vogue (and the entire media industry, including our own) is notorious for loving the skinny women, and Dunham (fabulously) does not fall into that category. Take it away Bob Dylan.